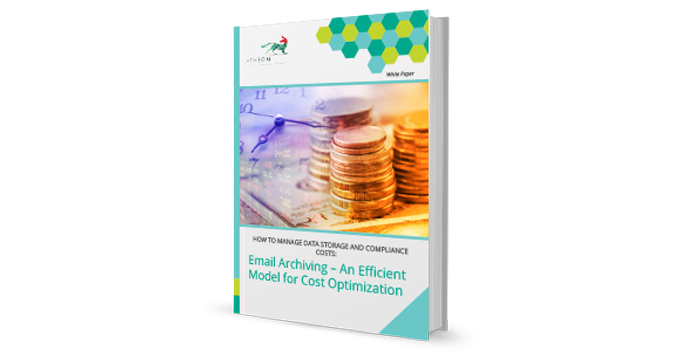 Today, when a massive bulk of critical business information is stored in employees’ inboxes, time saved through fast email communication can easily turn into time lost on meeting legal compliance needs. Organizations are obliged to meet various laws and regulations and retain records of all electronically stored communication. Consequently, there is a growing need for companies to create a reliable financial and security strategy that would allow a steady business continuity through easy information availability, physical security of data storage and a sustainable model for cost handling. In an effort to avoid the increasing costs imposed by the bulk data and legal compliance issues, companies are now experimenting with different digital tools and solutions for data processing and protection. Some of these solutions might address the question of data storage, but fail to meet the company standards regarding data control and protection and legal compliance issues. This whitepaper provides an overview of financial challenges organizations face in relation to data management and outlines possible strategies which can help you reach full compliance, maintain seamless business continuity and prevent financial loss. It also offers clear insight into why a comprehensive, in-house solution is superior to all other options in terms of cost-effectiveness.